GUTS Labs, a small toy studio in Montreal, has been using the Form 1+ 3D printer to print pieces that provide additional geometries to standard Lego bricks. As big LEGO fans, the GUTS team became interested in 3D printing as a way to create angled LEGO pieces that could enhance their current set of building blocks. With their angled bricks, the GUTS Labs team wanted to expand the possibilities of what you can build with a Lego set. Their first bricks were initially printed with a 30º angle, but after extensive testing and iterations, the bricks were changed to a 22.5º angle to maximize smoothness. The shallower bricks give the vertical system more flexibility, giving the builder more creativity when building structures with a standard Lego set. GUTS Labs chose the Form 1+ for the high-resolution prints it consistently delivers. 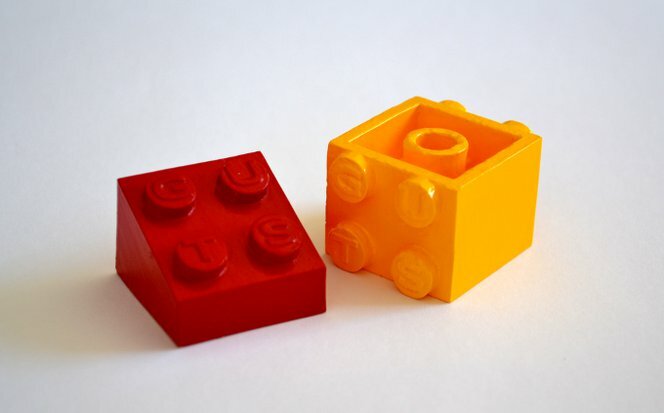 Standard fused deposition modeling (FDM) printers didn’t offer the required precision necessary to create 3D printed pieces that fit the tight tolerances of injection-molded Lego bricks. Check out the GUTS Labs website for more information on their angled bricks!